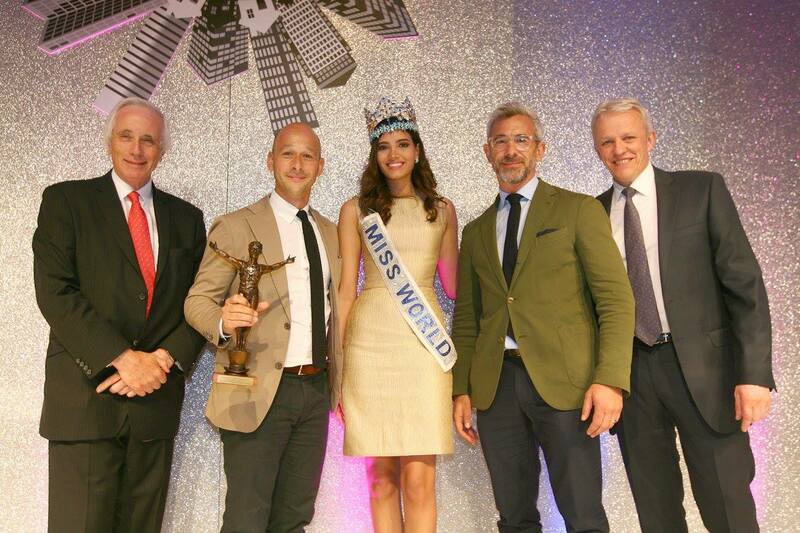 Miss World 2016 with Neil Sinclair, Co-Founder of The Props and ‘Entrepreneur of The Year’ Winner, Olly Olsen & Charlie Green – The Office Group at The Props Awards 2017. 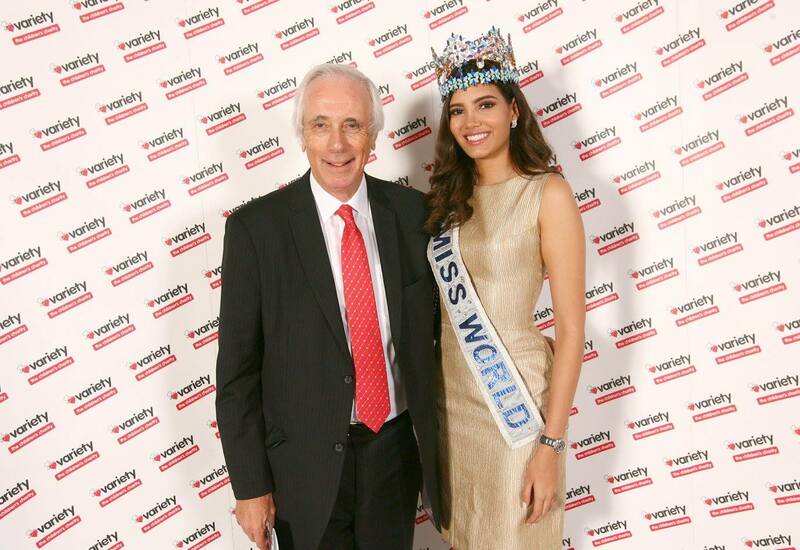 Miss World 2016 Stephanie Del Valle attended a high profile annual award event – ‘The 2017 Prop Awards’, organised by Variety, The Children’s Charity on Tuesday, 23rd May 2017 at the London Hilton Park Lane. Reigning Miss World presented the awards to the winners. The objective of the gala was to help raise vital funds to purchase electric wheelchairs for sick, disabled and disadvantaged children and young people throughout the UK. An amazing £300,000 was raised, providing powered wheelchairs for hundreds of disabled children in the UK. Miss World 2016 Stephanie Del Valle with Neil Sinclair, Co-Founder of The Props at The Props Awards 2017. 2017 mark the Silver Anniversary of ”The Props”. Variety’s 26th Annual “the PROPS” Lunch is real estate’s premier fundraising event. Since its inception in 1992, “the PROPS”, dedicated to the UK’s property industry, has raised over £9 million and funded more than 2,000 custom-made electric wheelchairs.